Whats keeping me up and running !?? Realizing that my baby steps approach to lose weight wont work took total control and keeping a self monitoring eye on what am eating and how often am doing it so.But all this only after gaining some 5 plus kg just in 2 months of time.After reducing carbohydrates consumption after 5 PM feeling better. Understanding and demystifying money !!! Data—> Information—> Analysis+People pulse(psychology of end user) = business ideas !! ain’t it. Reading loads of articles and feeling information overload. So to make things simple constrained myself to technology and business issues which i love most and the rest take a back seat for now. A-Movie-A-Week and ATM(AnyTimeMovie) policies is resumed in life after a hectic training schedule of 3 months. This entry was posted in Uncategorized and tagged books, Movies, reading, status quo on October 4, 2010 by Sai Satish Kandukuri. We all do attach strings to everything we do in our mundane life, which are small by the individual magnitude but at sometime or the other they take their toll on us collectively leaving life chaotic; be it habits ,attitude, perceptions or even opinions.. everything counts. They hold us back and we just keep ourselves busy getting out of the fuss which is what we feel herculean task and miss the wonderful opportunity which is disguised in the form of crisis. Once we find this underlying opportunity in crisis everything is happy happy …easy easy.. 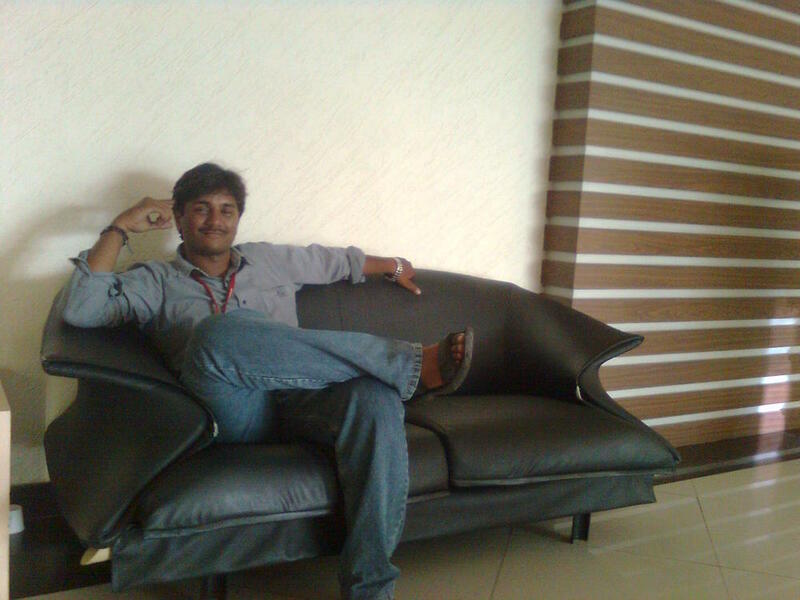 This entry was posted in Uncategorized and tagged status quo, work on December 18, 2009 by Sai Satish Kandukuri. Had a great day bombarded with wishes all over and through all modes of communication. It feels good when someone would want to wish you from deep with in the heart and bless you. I am even more merrier that successfully i haven’t had had cut a cake since 22 years :) Its not my way of celebrating……eat to the fullest and hang out with friends was the mantra ….but most perhaps It seems I need to break the tradition of doing so…… It brings a tickle when some calls you to wish you and can’t wait to ask for party……… even I did so many a times but its different when it happens to you …. The warmth and the embrace in wishes and blessings gives oneself immense energy to move on ….. this time no more skipping of party I promise myself :)Day was an obvious one , going to training academy and felt bad about the calls I couldn’t attend…I thank everybody who called up to wish but couldn’t . Thank you all …. This entry was posted in Uncategorized and tagged status quo on May 2, 2009 by Sai Satish Kandukuri.